I would've cried too!! So far, knock on wood, my only emotional episode happened the second day we were home. I laid down for a nap and cried just thinking about how one day he'll get hurt, he'll grow up, I won't be able to protect him always. That sort of thing. I definitely had the big cry 3 weeks after Ella was born. I called my husband after a long day of fussiness and he too came running home. Of course she fell asleep in his arms instantly and I felt like such a failure. Haven't had a super meltdown since. Sounds like you're doing a great job!! I promise you are completely normal!!! It's a very helpless feeling hearing your baby cry & cry and not being able to soothe him. I remember all to well even though it's been almost 21 year ago with my not so little Brandon..he had colic for almost 9 months!! I had the "big cry" several times!!! ((hugs)) to you and baby Mac!! Oh this scares me but it totally makes sense and I SO appreciate your honesty. I'm sure everything about motherhood is just so so overwhelming initially. And that sounds normal and rational. But when you're in the middle of it, it's a different story! Thinking of you lots and praying that it gets better and better everyday! Oh, yes. The combination of hormones, exhaustion, recovering from a c-section and a screaming baby is more than one person can take sometimes. I've dialed "Daddy 911" for all three kids. :-) Hang in there, it will get much easier in just a few more weeks!! Oh yeah... I had several big cry moments in the first two months! There were many times I tried everything I could think of and she wouldn't stop crying (she was basically always crying those first few weeks unless she was nursing or sleeping. I was very jealous of people with happy babies). My husband would come home and find both of us in tears. It does get easier- for us she didn't stop being fussy all the time until about 4 months (which, is not really what you want to hear, but I was at least better able to handle the fussiness by ~8 weeks). I would agree with Samma that if he keeps crying while eating, etc... you should consider reflux medications. Nora was on some starting ~6 weeks old and while it wasn't a cure-all, it definitely helped. I've only had the little break-down-in-the-corner cries, but I have middle-of-the-night panic attacks: "Omgomg what have I done this was a terrible mistake how can I possibly get rid of this baby what was I thinking so THIS is why people put babies in dumpsters omg did I just think about putting my baby in a dumpster why did I decide to have a child" hyperventilating thing. The good news - it gets SO much better. He will be an amazing, delightful little man before you know it. :) And I totally relate to feeling like a failure because you called your husband. Been there, done that. The husbands really don't mind and they appreciate that you called them because you're at the end of your rope. Promise. But, I hope that, because you're writing about this, you're over the hump. Can't wait to meet the little guy! Oh sugar. I can't imagine how you must've felt, but, know that you are a crazy strong woman and a crazy awesome mama. Mac loves you and so do I! I agree with the other couple of moms who mentioned possible reflux issues. My kids didn't have it, but it sounds like how I've heard it described by other moms. Yes, I've had my share of big cries over the years. I was twenty and single when I had my son, and let me tell you...that first night home from the hospital was the darkest night of my life. I'm pretty sure I cried all night long, just out of fear for our future. Thank God for my mom, who finally caught me mid sob session and told me it was hormones and NOT because I had no business having a baby at that time in my life. Oh man the big cry is the worst! When we brought H home at 18 days old I was unprepared for what was in store! That 1st growth spurt had me crying and even having to go sit outside by myself! In that instance I could identify with those who shake their babies out of the sheer overwhelming nature of the crying! Note I did not shake my baby! From what I hear everyone has it! I get so anxious when I can't soothe a crying baby. But eventually the parents always come back and I get to hand him/her off. I'm terrified of when, a couple months from now, it's MY baby and there's no one there to come relieve me when the screaming won't stop. I guarantee you I will have a big, no, an EPIC cry. Hopefully I'll remember this post and take some solace in the solidarity. I think that every mom out there will remember the first 8 weeks.....and while there is so, so much joy, it is also so very difficult! 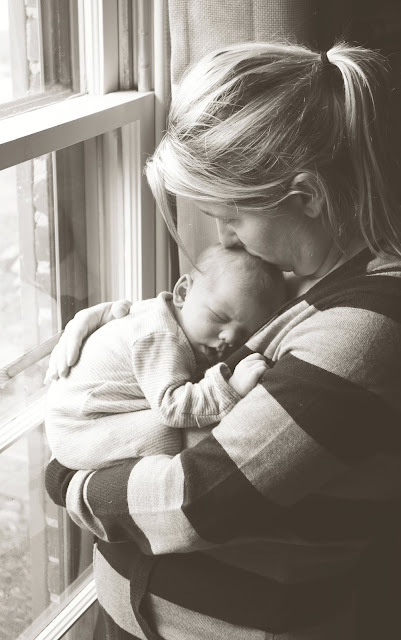 You're sleep-deprived, the hormones are bonkers, and you want to master a lot of things for which you have no real experience (feeding baby, getting baby to sleep, calming baby, etc.). Trust me - I totally get it! My first Big Cry occurred after we were home for about a week. Our son Logan went to bed around 9pm, and I went to sleep right after him (hope you are sleeping when Mac is too!). Logan was up around midnight, and my husband wanted to let me sleep - but he tried to prepare a bottle with pumped milk, and didn't realize there were holes at the top of the bag. He spilled the breastmilk all over the counter --- somehow I heard it all happen, and when I saw all that milk spilled everywhere (that I had worked so hard to get! ), I lost it. We still laugh about it now -- thankfully enough time has passed to laugh :) Good luck -- and if you ever have new mom questions, feel free to reach out! I'm so glad you wrote this post. I'm guessing it was therapeutic for you, and I wish I had done some more of the same those first weeks. I think I had a big cry, and then another, then another. It's hard! My eyes are constantly leaky. :) But it's gotten so much better in the last few weeks. 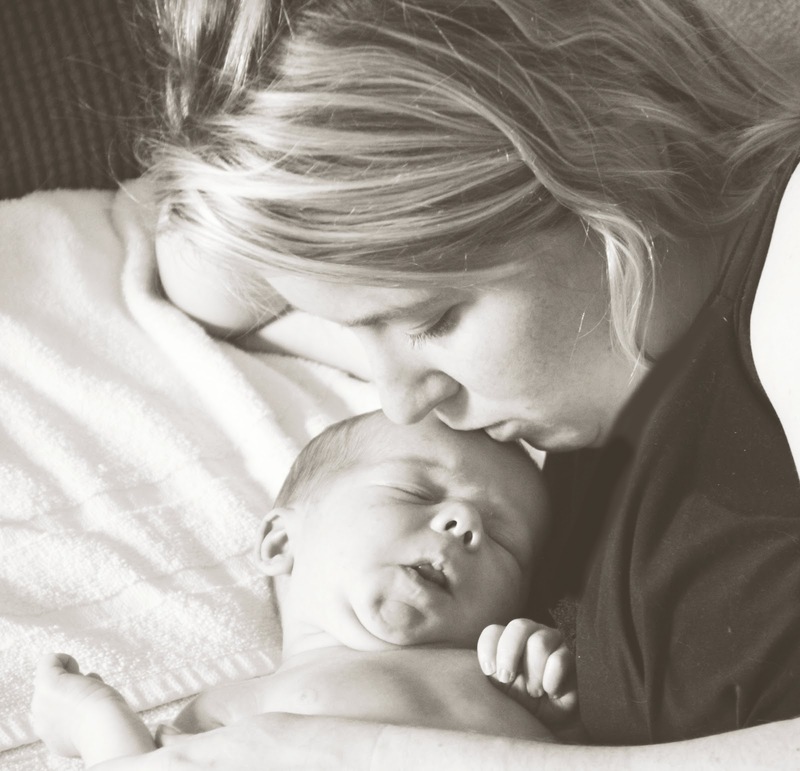 I got over the culture shock of being a new mom, and started to figure out what he likes and doesn't like. Of course, as soon as I figure something out, he changes and I start over again. But it doesn't break my heart as much to have him cry. I just hold him and do the best that I can to help him. The worst part for me is that I've been having to stretch his tongue several times a day since he got his tongue tie clipped again, and the stretching is very painful for him. That's made me cry several times, because I'm hurting him and I have no choice (there are health benefits in the long run, so it needs to be done.) But, I digress. I know that you are a great mom and Mac is lucky to have you. I hope that you don't have more days like that one, but even if you do, I know that you'll get through it because you are awesome and you can do anything. Even this mom thing, which really is much harder than it seems from the outside looking in! Hang in there Sara! It's so hard because their intestines are so small and sensitive, and nobody is getting enough sleep. I hope things continue to get better. Oh girl I can totally remember my big cry, or I think it was "cries" in my case! There were some days after Nick went back to work that all I wanted to do was cry...and if we're being completely honest here, there were times when I would leave Elyse in her crib to cry while I sobbed in the living room. I'm sure you are a great mom & these moments will seem so fleeting in just a few weeks when Mac has grown so much! And just to be aware, you may have more "big cries" in the future...but know you'll survive those just as well! I swear that the 1st 3 months with a new baby is pure survival mode for the both of you!! Hang in there, it gets sooo much easier!! I had my "big cry" one day when I was home alone with Jackson. He was only a couple of weeks old and after nursing him almost all day long, he would still cry like he was hungry. I really didn't want to feed him formula, but I was desperate and I can remember feeling like such a failure. It ended up that I just didn't produce enough milk for him and I didn't have a choice but to feed him formula. Those first few weeks are tough, but it does get easier. Hang in there.